Russia will respond “in proportion” if the United States takes military action to prevent what it says could be a chemical attack by Syrian government forces, Russian Foreign Minister Sergei Lavrov said on Wednesday. “We will react with dignity, in proportion to the real situation that may take place, Lavrov said. 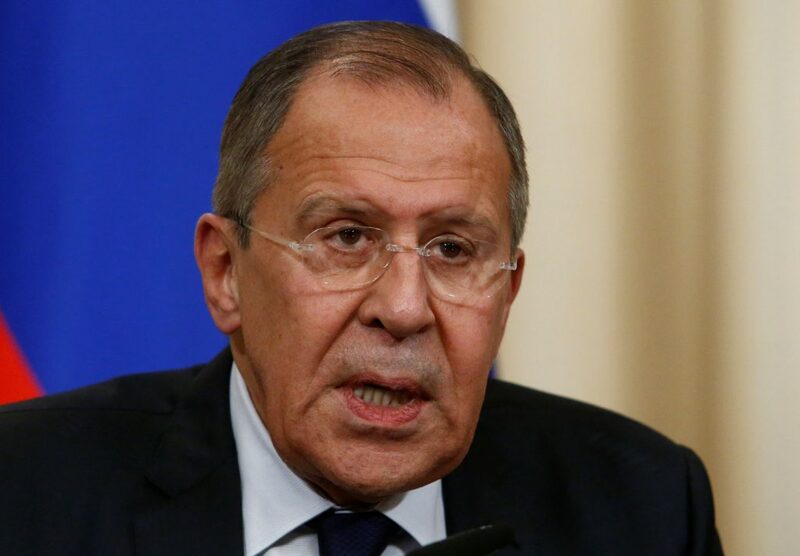 Speaking at a news conference with his German counterpart, Lavrov said he hoped that the United States was not preparing to use its intelligence assessments about the Syrian government’s intentions as a pretext to mount a “provocation” in Syria. “I expect that our partners in the region – American, European – will also have an open and comprehensible approach, aimed at de-escalation through normalization of the humanitarian situation,” Lavrov said. U.S. Defense Secretary Jim Mattis said on Wednesday the Syrian government appeared so far to have heeded a warning this week from Washington not to carry out a chemical-weapons attack. Russia, Iran and Syria Issue Warning to U.S.